Changing your habits can be hard, and changing your entire lifestyle is even harder. Forming new habits is definitely hard work, but it is well worth it. This man knows the value of changing your lifestyle better than anyone. You’ll never believe how much he has turned his life around. 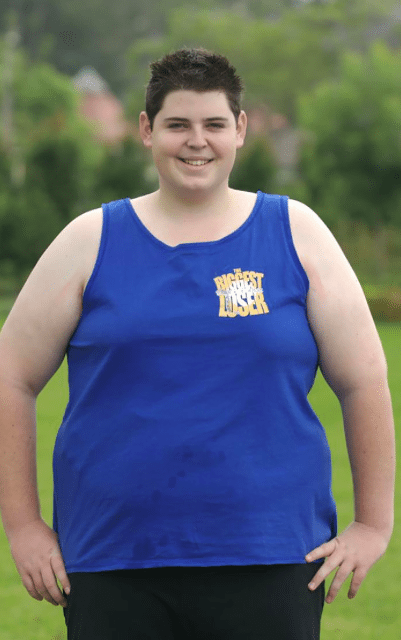 Sam Rouen was the winner of the 2008 season of “The Biggest Loser,” a show in which contestants each compete to lose the most weight during a 12 week period. Sam was only 19 years old at the time, but he had struggled with his weight all his life. The show gave him an opportunity to replace old habits with new, beneficial ones. The results did not disappoint. Sam took his fitness seriously, even after the show. When he was recruited for the televised program, he weighted a whopping 154 kg. 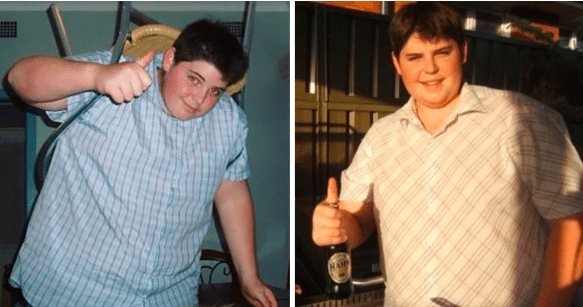 Over the course of the series Sam lost 71 kg – an incredible feat for anyone, but even more astonishing for someone so young. 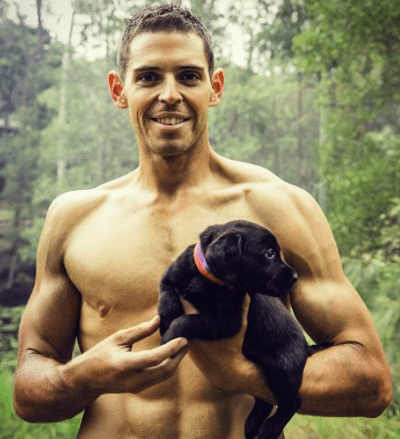 After he was crowned the winner, Sam continued on his fitness journey. 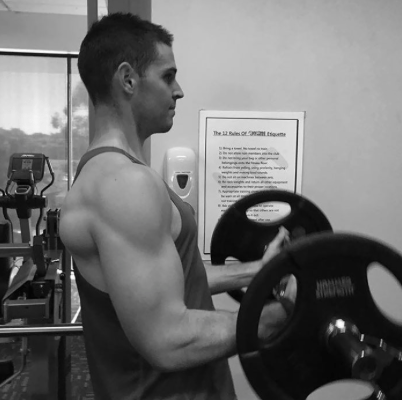 He kept up the workouts, ate right, and stayed motivated. The whole time this man was training, he had one goal on his mind. 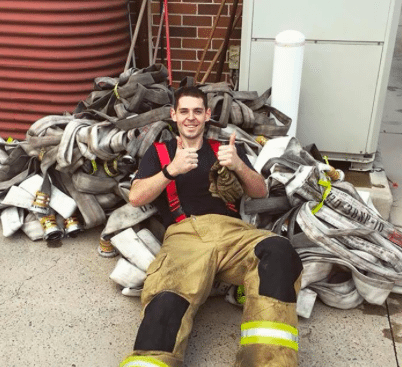 Sam dreamt of being a firefighter, but he was unable to because of the shape he was in. This was his opportunity to change that. Flash forward ten years, and you wouldn’t even recognize Sam as the same person! He lost every last bit of his excess body fat, and he is now toned and tan. The former T.V. star now has bulging muscles and is a successful firefighter. Because of his hard work and dedication, he is able to live out his dream and make the world a safer place. 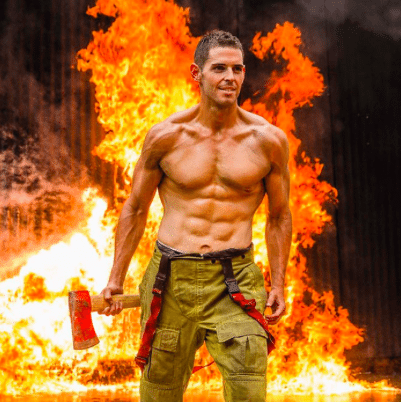 The firefighter keeps his body in top shape by hitting the gym regularly. When it comes to working out, he can’t get enough. “I’m addicted to working out now,” he shared with The Daily Telegraph. “I definitely love running and working out with my brother. I play a bit of sport to stay in shape and also work out in the gym. Sam looks amazing, and he doesn’t keep his good looks to himself. 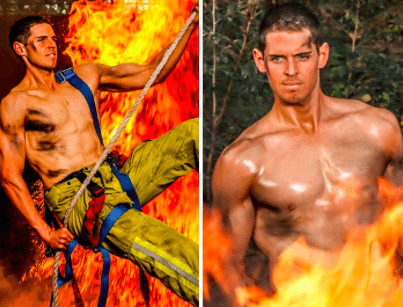 The man has appeared as a model in a firefighters calendar. Now that ten years have passed, it is a good time for Sam to reflect on his accomplishments so far. His gratitude shows that his body is not the only thing that has improved – his mind has, too! Sam has even had success in love. 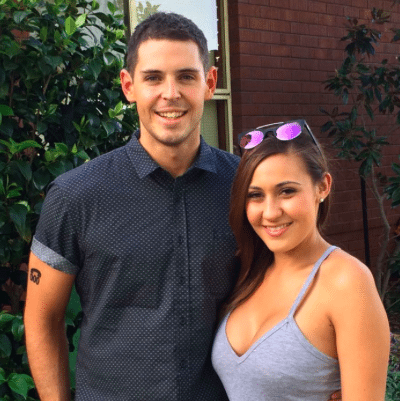 He is engaged to his girlfriend Daniella, and we couldn’t be happier for him. 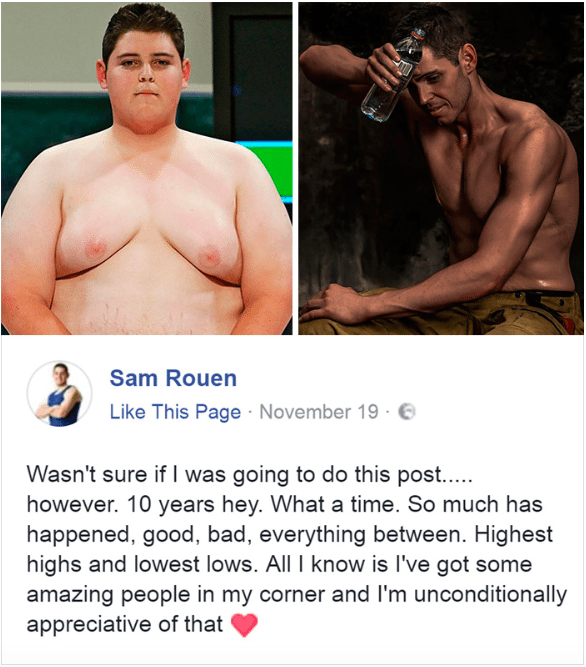 Sam’s story is so inspirational. If he could completely turn his life around in just ten years, anyone can. Never underestimate the power of changing your life, one little habit at a time.